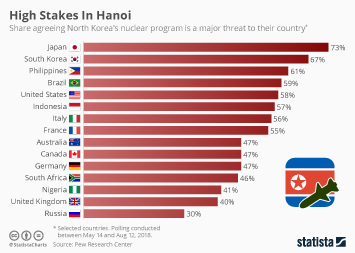 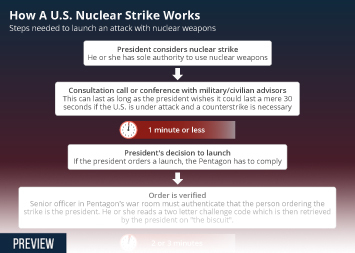 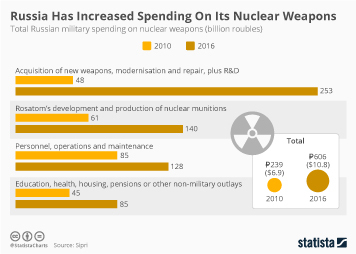 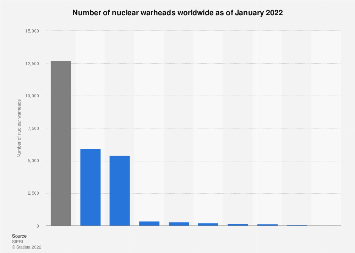 Currently, there are an estimated 14,485 nuclear warheads in the hands of just nine countries. 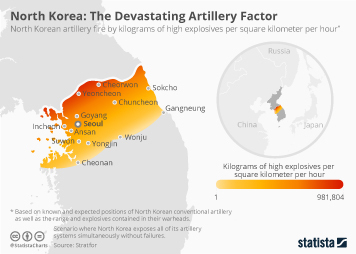 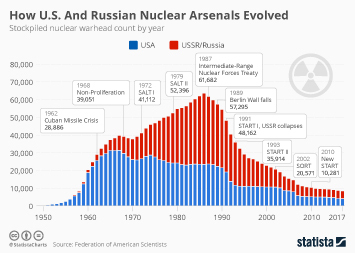 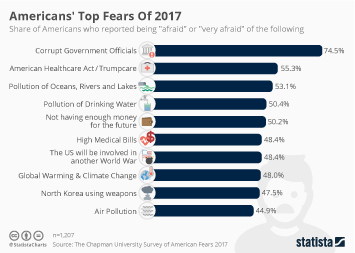 At the top of the list, as compiled by the Federation Of American Scientists (FAS), are of course Russia and the U.S. With a combined arsenal of over 13,000, this particular hangover from the Cold War is still plain to see. 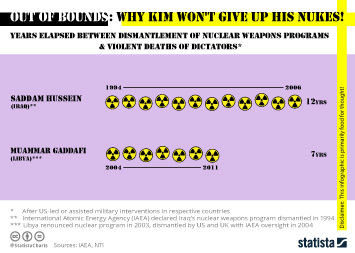 Up to now the two have been undergoing programmes of disarmament - of this 13,400, over 5,000 are officially retired and awaiting dismantlement. 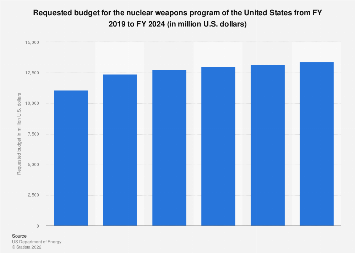 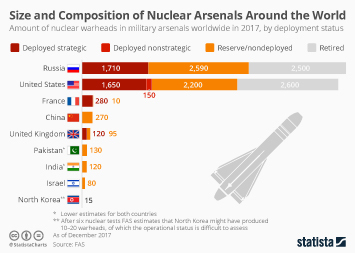 This chart shows estimated global nuclear warhead inventories as of November 2018. 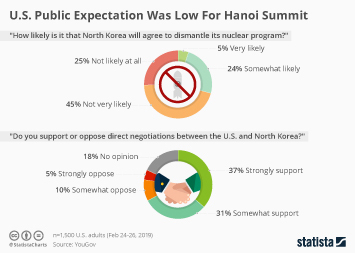 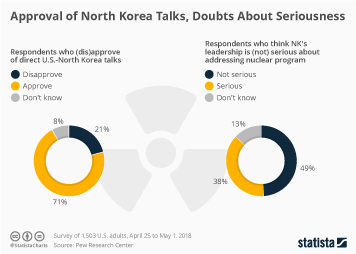 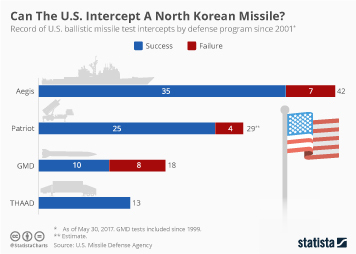 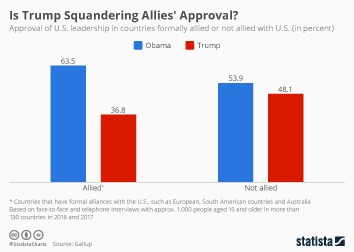 Is Trump Squandering Allies' Approval of American Leadership?